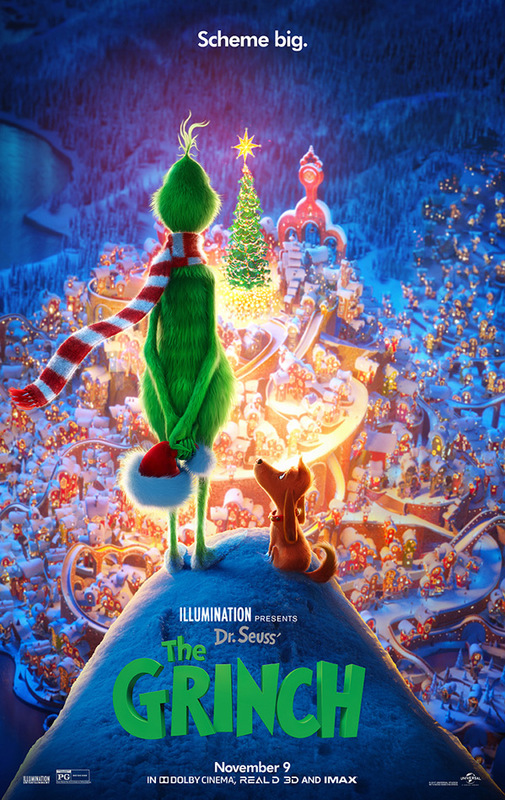 "You're a mean one…" Universal & Illumination have debuted a third official US trailer for Dr. Seuss' The Grinch, their new animated take on the classic Christmas story about the lovable green grump the Grinch. Benedict Cumberbatch voices the Grinch. The rest of the voice cast still hasn't been revealed yet, since they don't seem to be in this much. "The Grinch tells the story of a cynical grump who goes on a mission to steal Christmas, only to have his heart changed by a young girl's generous holiday spirit." The exact same classic Dr. Seuss story as we've seen told many times before, but with some funky Illumination flourishes. I'm still not particularly excited about this beyond Cumberbatch as the Grinch, I just hope it turns out okay. The is the best trailer of all of them so far, which makes me a bit more hopeful. Meet the Green one below. You can still watch the first trailer for Dr. Seuss' The Grinch here, or the other full-length US trailer here.